Ashley Gartland works with small business owners and entrepreneurs whose business is doing well but who feel like a hot mess behind the scenes - and they know it's holding them back from reaching the next level. She helps them simplify their business and build a stronger foundation so they can experience more growth and fulfillment in their work and more freedom in their life. Ashley has been an entrepreneur since the age of 22, when she got her start as a freelance food writer. After working in editing, event planning, public relations and digital publishing, Ashley launched her coaching practice to help overwhelmed entrepreneurs grow their business by streamlining and working smarter, not harder. Ashley's work has been featured in O, The Oprah Magazine, The Huffington Post and Being Boss and she's appeared on The Startup Sessions, Courage & Clarity and The Feel Good Effect podcasts. She lives for rainy days, is an avid runner and prefers kombucha over coffee to fuel her day. 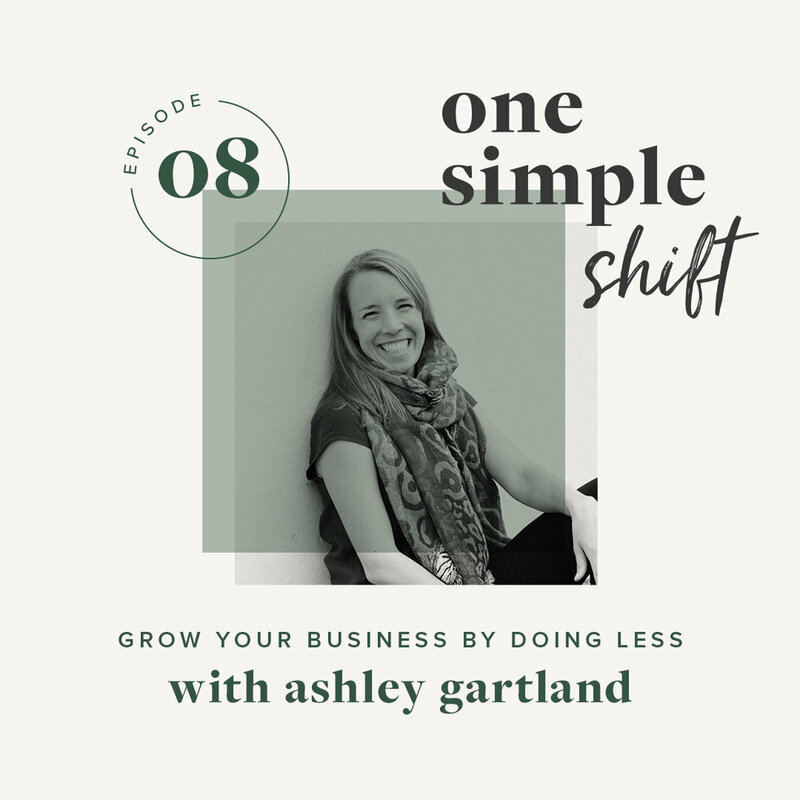 To connect with Ashley and learn more about how you can simplify your business, you can get her free 5 Steps to Simplify Your Business workbook at www.ashleymgartland.com/simplify.